RAMALLAH, Palestine (AA): A Palestinian young man was killed and two others injured by Israeli forces near occupied West Bank city of Ramallah, the Palestinian Health Ministry said on Tuesday. 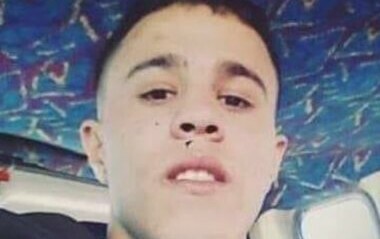 Mohammad Ali Dar Adwan, 23, was shot multiple times by Israeli forces while driving his car in the Qalandia refugee camp southern Ramallahl,” the ministry said in a statement. “The Palestinian victim was shot more than ten times by the forces who left him to bleed to death,” it added. According to the ministry, two other Palestinians were injured after clashes erupted in the refugee camp. Dozens of Israeli forces stormed Qalandia checkpoint and other neighborhoods in Ramallah at dawn, triggering clashes with dozens of Palestinians.